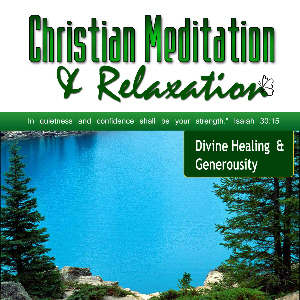 The DIVINE HEALING & BECOMING A GENEROUS GIVER Meditations begin with a progressive relaxation followed by biblical narrative and relaxing music. Jesus said that he has bore our sickness and healed our disease. Our Lord left us with many testimonies of healing. In this meditation you’ll be encouraged by several biblical figures who can attest to God’s desire and power to heal you and your own special encounter with Jesus. One of the keys to walking in abundance is the principle of Giving. We often refrain from giving because of our own perceived lack. However, God owns everything and there is enough to go around. When we hoard, we shut the door to future blessings. If you struggle with selfishness or greed, this meditation will encourage you to give freely and generously to those in need and reap a great harvest from the Lord!